New Years Resolutions for August dictate the reader gain greater appreciation of life through death. Gretchen Rubin, author of The Happiness Project, offers 3 paths to enlightenment with an ironic emphasis on sad stories . With additional focuses on religion, gratitude, and imitating mentors, contemplating the heavens doesn’t necessarily have to include participating in a particular faith, so I felt relieved to know Rubin shared my agnostic views. Read ahead to learn how to increase your sense of happiness through conscious awareness, deliberate efforts and research regarding somewhat morbid events. I read so I’ll remember not to judge. I read for perspective and to be reminded that even in the face of loss and pain and doubt and confusion, life does not stop. Someone has to go to work, make dinner, fold the laundry….– we are supposed to save our weaknesses for the quiet hours of the night. I read to recognize bravery and to confront the fears I try to ignore. For a macro level read, A Train in Winter by Caroline Moorehead knocks out two birds with one stone: To read about catastrophe on a massive scale and to finish an unread book I purchased in January in Denver. (If this marks your first time peeking through my blog, one of many resolutions of the new year included reading unfinished books.) After holding onto this read for 8 months, it’s time to move past chapter 2. With millions of blogs on WordPress, surely someone out there has a story to tell. Perusing through various categories led me to 3 blogs I look forward to exploring. They feel like present-moment stories, fascinating to read, because these folks are still very much alive. Just as the paradox relationship exists between darkness and light, with approaching death comes insight, wisdom and a chance to reflect on life. My micro level attempt to get in touch with death through terminal illness has lead me to examine and appreciate life as it is right now. On a side note, I plan to submerge myself in grim movies, as well. 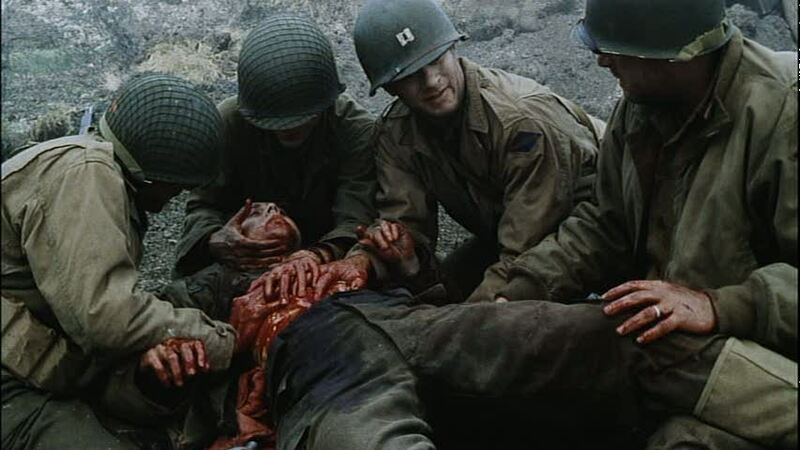 After watching Saving Private Ryan (hence, the photo above) for the first time ever yesterday, I instantly felt grateful for family, friends and overall stability. Schindler’s List is next. If you haven’t noticed the theme yet, I seem to feel especially sad and grateful reviewing stories related to the Holocaust. Journaling satisfies the need to vent, decompress and release negative emotions. Any sense of validation unreceived from others often surfaces from paper and pen, which clears up why blogging feels so…therapeutic. Research suggests that for every negative thought or action we experience, combat it with 5 positives. Shawn Achor mentions this theory in his TED Talk, The Happy Secret to Better Work: Recall 5 events from the day to relive, ultimately boosting feelings of pleasure and gratitude. Upon further probing, John Gottman’s 5:1 ratio appeared repeatedly through research. First, he surfaced in Brene Brown‘s work, Daring Greatly, then a blogger discussed how to safeguard relationships from the “cohabiting effect” that Gottman details (which you can read more about here) and Rubin quoted his advice, as well. Bottom line, whether it’s the sanctity of your marriage you wish to protect or the ability to remain positive, Gottman’s suggestions of combating one negative with 5 positives really works. For more information regarding Gottman’s revolutionary findings, check out the Gottman Institute Website. Rubin emphasizes the importance of keeping a one sentence journal, along with documenting 3 reasons to be grateful. A one sentence journal helps capture the overall feel of that particular day, which doesn’t necessarily have to be something the writer was appreciative of. 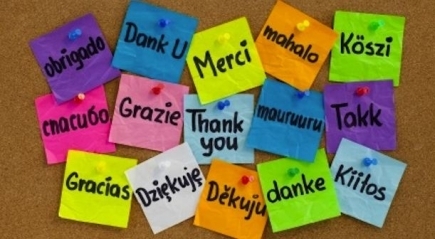 So, the 31 day challenge for August shall be to write one sentence every day plus 5 distinct reasons to be grateful. I’m often ridiculed due to my obsession with Oprah. I’ve read her books, I own the 20th Anniversary 6 disc collection, and I’ve watched nearly every episode. This steadfast admiration extends back to my childhood, when my parents gave me the “secret password”. My mother asked me to pick a word (or words) that would remain secret, only myself and my parents would know the word. If a stranger tried to pick me up at school, he or she would have to know the password. (Since I also adored my first grade teacher, I let her in on the word too, Power Rangers.) Knowing Oprah taught my parents how to keep me safe led me to idolize this woman at a very young age. Quite frankly, I looked forward to her show every day after school. Oprah often discussed taboo topics during the 90’s, many of which were new to me at the time. I learned to recognize anorexia thanks to Rudine and how to face the worst moments of your life with courage and dignity. Christine McFadden’s unfathomable story of loss and the lives her story saved by appearing on Oprah still make me cry to this day. The aftermath of DUI accidents on the lives on victims and offenders will never leave my memory as I wept at the horrific accounts unfolding on national television. Listening to Inside the Life of An Obese Person caused me to give up my bullying antics years after the episode aired, as I felt remorseful for the child in our fifth grade class that just couldn’t catch a break. Despite the multitude of heart-wrenching stories on Oprah, many episodes demonstrated the power of the human connection. After Oprah coined the “Aha” moment, I found myself referencing the term all the time. 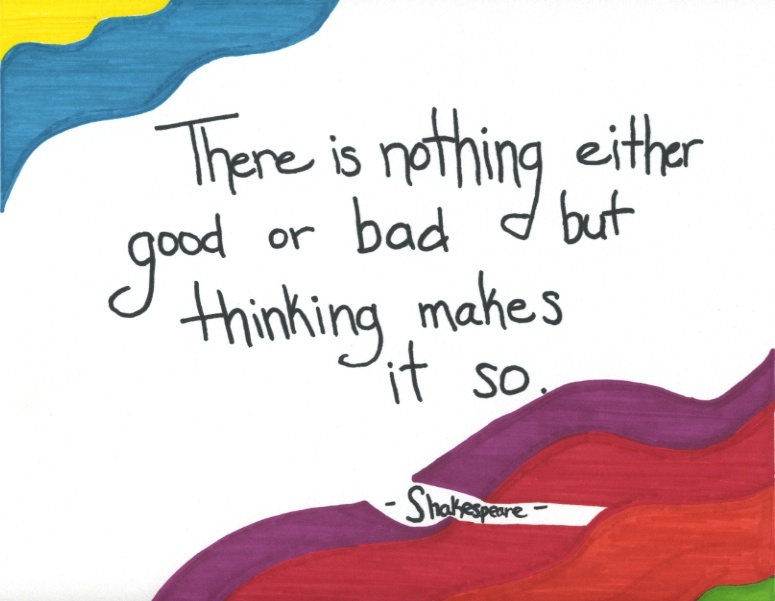 We can’t have “aha moments” (epiphanies) without the insight of others. Abandoning the conscious realm you currently know begins with exploring the virtues and ideologies of others. Reading the Secret brought me closer to experiencing elevated levels of consciousness, but Eckhart Tolle’s novel A New Earth introduced me to the first major “aha” moment of my life: You are not your mind. Separate your thinking from the ego. I have Oprah to thank for bringing me to this read. I picked it up from Bookman Bookwoman located in Nashville, without a second thought, once I noticed the Oprah’s Book Club sticker located on the front cover. Oprah’s influence on the world has shaped millions of lives, but I credit this woman with teaching me how to explore the spiritual realm of infinite possibilities. The majority of positive readings I love the most were recommended by her first. Thus, I am eager to imitate Oprah over the next 31 days, as this avid fan did for an entire year! The plan is to study the most emphasized life lessons and to act on them accordingly. Love the idea of a Happiness Project! Thanks for sharing! Thank you, I appreciate it! Just out of curiosity, what led you to this particular post? Was it a google search? I’m asking, because a few weeks ago I had a notification that “Your site is receiving more traffic than usual today”. So I checked out my stats, and this post had over 200 views in one day a few weeks ago. And since this post is a year old, I have no idea why it’s suddenly receiving more attention than usual lol. Your post is a keeper. Thank you for writing, great reminders! Aww thank you! That means a lot to me 🙂 Hope you’re having a lovely week so far! Thank you for that, that was such a good read. Good luck with your challenges. I’m looking forward to reading the next installments. Thanks for reading, I try not to seem as if I’m drowning on with lengthier posts. I love the feel of your blog, I work in general mental health and thoroughly enjoyed youe candid, sincere post regarding your child with autism. The last thing someone expects to be confronted with is a friend practically blaming you for the circumstances, as if raising a child with special needs is easy. I’ve had clients with aspergers, and a lot of parents are just doing what they can to get by. I respect you for putting your thoughts on the internet, and wish you the best with raising your child, sounds like your heart is certainly in the right place.